He doesn't say "we think showing Klinghoffer will increase anti-Semitism," but the statement is phrased to imply that he is saying that. Instead, he is agreeing with nameless others that there's concern that it's inapporpriate to show Klinghoffer. I thought this was a dumb stance to take in June, and I still think it is a dumb stance. This is the worst possible argument to make: it is outrageous because it is wrong and stupid. All he needs do is to keep repeating "We believe in this opera, we are going to stage it, you cannot make us cancel the production. Thank you for your comments." And needless to say, anyone who wants to challenge or protest or picket the opera itself should do so; free speech and all that. If you must read the Commentary article, it's here. If their report is accurate, I own that Peter Gelb can and should be handling this situation better. He's probably not smiling quite this much right now. “I believe that my continued leadership of the ASO would be an impediment to our reaching a new labor agreement with the ASO’s musicians,” Romanstein said in an ASO statement. You bet, Stan. Er, Dr. Romanstein. 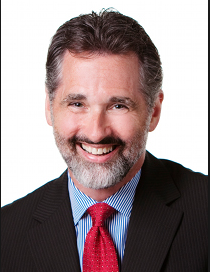 * It's likely a good thing that you are departing within weeks of the stupid and damaging lockout you instituted, rather than the nearly two years it took for Michael Henson to leave the Minnesota Symphony. * Every press mention of him that I have seen calls him Dr. Romanstein and often includes the letters after his name. I checked, and he really does have a doctorate, in musicology, which doesn't exactly qualify a person to take a position running the business side of a major symphony orchestra. Andris Nelsons has begun his tenure as music director of the Boston Symphony Orchestra, three years after James Levine resigned on account of his health problems. His first concert was last night, and the reviewers were there. I have more than one beef with the obit, actually. Author Vivien Schweitzer can't be blamed for the terrible, terrible headline; someone else came up with "Christopher Hogwood, Early-Music Devotee, Dies at 73." Devotee? Really? That makes Hogwood sound like someone who buys dozens of early music records and attends early music camp every summer*, not a world-famous professional musician who worked in the field for nearly 50 years and made an outsized impact. But let's get to my problems with what Schweitzer did write. She mentions Hogwood's Mozart records, but there's not a word about his monumental, not-quite-complete Haydn symphony set, a groundbreaking long-term project if ever there was one. It's the first thing that comes to mind for me when I think about his career. Mr. Hogwood, who early in his career played continuo in Neville Marriner’s Academy of St. Martin in the Fields, was once referred to as “the Von Karajan of early music” — a reference to Herbert Von Karajan, who in addition to being one of the 20th century’s most important conductors was a famously imperious personality. Schweitzer follows this with a quotation from a musician who worked with Hogwood, who doesn't quite fall over laughing, but who notes that Hogwood was the farthest thing possible from von Karajan's imperious image, and calls Hogwood a great collaborator who was happy to yield to a musician who had a better idea. Now, who might have made that remark about Hogwood, and why? As it happens, it was Hogwood's publicist, according to the Telegraph obit. My guess is that the publicist might have been referring to Karajan's stature in the conducting world, or his enormous repertory. I rather think that an email or two might have uncovered this information for the Times obit. In fact, Hogwood's publicist would have been a valuable contact for someone writing an obit of the conductor. Some musicians and scholars now believe that modern instruments allow for greater interpretive possibilities than original instruments — that the wonders of Bach’s music, for example, can be best illustrated on a modern piano. What can you say about this? Again, we've got an unsourced assertion about what "some musicians and scholars" think. Who are they, and where did they express this belief? And what about the phrasing? "Some musicians and scholars now believe" makes it sound as though this is something new, something established by scholars after long, thoughtful research. Well, it's not new, in the sense that pianists have been playing Bach on the piano more or less forever, because, after all, they are pianists. That Bach's music is readily adapted to be played on practically any instrument is hardly controversial or new. ** But I'd really like to see Schweitzer back up "now believe" and provide the basis on which scholars believe, and can demonstrate, that there are greater interpretive possibilities on the piano. Sure, you can play louder on a piano than on a harpsichord, but you can't add or remove registers; Bach's music demands interesting phrasing before it demands volume or the kinds of color you can get on a piano. Sigh. The Times can, and does, do better in the obit department than that. I would have assigned this one - oh, heck, I would, if I could, assign every Times obit - to the great Margalit Fox, who would have gotten the details right. And would not have required the long string of corrections that you can read at the end of this obit. * I mean no disrespect toward people who attend early music camps. I have done so myself, though not recently; the thriving population of amateurs playing early music in their spare time is one of the great things in the music world. ** And I'm happy to hear Bach played on almost any instrument, provided the performer has interesting and persuasive interpretive ideas. A boring player will be boring on piano, harpsichord, virginals, or organ. An interesting player could be playing an accordion, for all I care. Conductor and early music pioneer Christopher Hogwood died on September 24th at 73, following several months of illness. He was a founder of the Early Music Consort, with the great David Munrow, and the Academy of Ancient Music, one of the first period-instrument orchestras. With the Academy, he recorded a groundbreaking complete set of Haydn's symphonies, as well as the complete symphonies and piano concertos of Mozart and many other works. in the US, he was director of Boston's Handel & Haydn Society for a good 15 years. He guest-conducted at major orchestras around the world and taught at various universities and conservatories. I never heard him conduct in person, but his recording of the Mozart Requiem was the first performance of the piece I found at all convincing, because he performed it as if it were Mozart, where far too many conductors give it the weight and phrasing of Brahms. He had an immense impact on the musical world and the performance of 18th and early 19th c. music. RIP, Christopher Hogwood. Update: The announcement on Christopher Hogwood's web site includes the cause of death, a brain tumor. Jeremy Eichler, the chief classical music critic at the Boston Globe, has started what I gather will be a multi-part series on opera in Boston. This is a fraught subject, for various reasons: the city demolished what was supposedly a first-class venue in 1958 - for a parking lot - and the brilliant but erratic Sarah Caldwell burned through gigantic amounts of money and good will. I think it would be great for Boston to again have an opera house, but c'mon. A metropolitan area that includes Harvard, MIT, BU, BC, Tufts, Brandeis, NEC, Wellesley, a host of smaller colleges, the BSO, Mass General and many other important medical institutions, the USS Constitution, dozens of musical organizations, and a giant swath of US history is in absolutely no danger of becoming less than one of the major cities in the US, whether or not it has an opera house. Hei-Kyung Hong will sing the role of Mimì in Puccini’s La Bohème on September 26 and 29, replacing Ekaterina Scherbachenko, who is ill. As previously announced, Hong also sings the role on October 4. I've never heard Hong in person, but on broadcasts she is a perfectly lovely singer with a beautiful voice. In a different world, she'd be a star, but somehow she has never hit the big time. The rest of the Boheme cast is not too shabby either! In bookstores on January 27, Call Me Debbie: True Confessions of a Down-to-Earth Diva is one of the most electrifying performances of Voigt’s life. In her strikingly honest memoir, she recounts – with characteristic candor, charisma, and wit – her harrowing and ultimately successful private battles to overcome the addictions and self-destructive tendencies that nearly cut short her life. She describes the events that led to her dangerous gastric bypass surgery in 2004 and its shocking aftermath: her substantial weight loss coupled with the “cross addiction” that led to alcoholism and severe depression before she emerged from the darkness to achieve complete sobriety. Voigt also offers fascinating insight into the roles she’s played and the characters she loves – Strauss’s Ariadne and Salome, Puccini’s Minnie, and Wagner’s Sieglinde, Isolde, and Brünnhilde among them. Enriched with hilarious anecdotes and juicy backstage gossip, she paints diverting portraits of the artists with whom she’s worked, her most memorable moments onstage, and the secrets of her singing. Voigt will discuss and read from the book in an extensive promotional tour throughout the month of February (dates/locations TBA). Already known to Twitter fans as a “Dramatic soprano and down-to-earth Diva,” Voigt was named as one of the top 25 cultural tweeters to follow by the Los Angeles Times. She offered something of a preview of her memoir in her confessional one-woman show, Voigt Lessons; boding well for Call Me Debbie, at its Glimmerglass Festival premiere, the show was pronounced “chatty, witty, and sometimes painfully poignant” (New York Times). Will it join Frances Alda's Men, Women, and Tenors among the great diva memoirs? Time will tell. First Ben Heppner joins the CBC, now Deborah Voigt joins WQXR. Well, she's charming and funny and has had plenty of practice hosting the Met HD broadcasts. (New York, NY—September 24, 2014) – WQXR, New York City’s classical music station, announced today that American operatic soprano and Grammy Award-winner DEBORAH VOIGT has been named the inaugural Susan W. Rose Artist-in-Residence, an annual position awarded to a prominent classical artist. The Susan W. Rose Artist-in-Residence program, made possible through a generous gift from Susan and Elihu Rose, will bring a prominent personality closer to WQXR’s audiences through a range of activities including radio-hosting, live events and performances throughout the course of a season. Voigt was selected as the Susan W. Rose Artist-in-Residence for the 2014-2015 season in recognition of her stature as one of our generation’s greatest communicators and advocates for music and as a highly respected performer. As part of the residency, Voigt will host a new WQXR’s series, “The Sopranos with Debbie Voigt,” an eight-part weekly exploration of what it means to be a soprano. Voigt will share insights and anecdotes from her illustrious career as she introduces a vibrant selection of recordings to illustrate each topic. The series will air Saturdays at 12 noon beginning on October 11, with encore broadcasts Wednesdays at 10pm, on WQXR 105.9 FM and atwww.wqxr.org. · How to Die at the Opera: Larger than life, exotic, and romantic deaths in opera. · Puccini’s Women: There’s more than meets the eye when it comes to Puccini’s vulnerable heroines. · Mad Scenes: Opera’s crazy ladies from Lucia to Lady Macbeth. · The Girls of Opera: Singers whose roles keep them forever young. 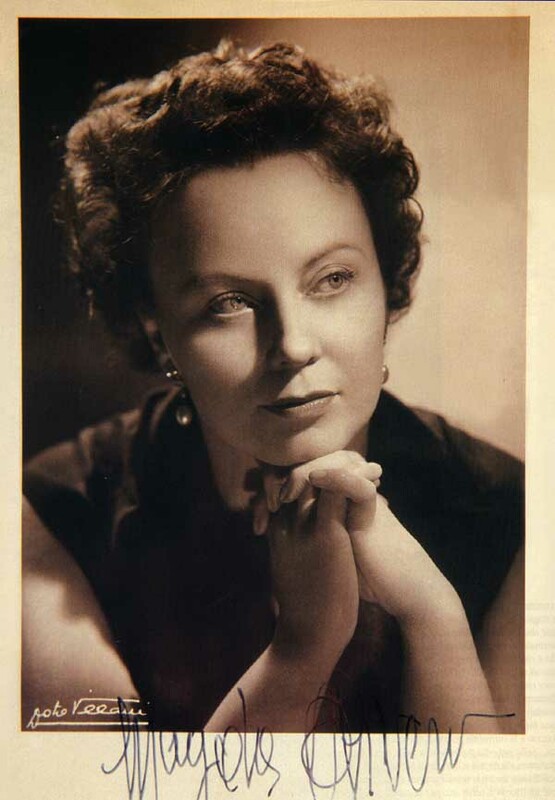 · The Great Ladies of Opera: Exploration of the Dramatic and Wagnerian soprano sound. In addition, Voigt will co-host a live national radio broadcast of Carnegie Hall’s Opening Night performance by the Berlin Philharmonic as part of WQXR’s new season of Carnegie Hall Live on Wednesday, October 1. She will host the New York Public Radio Annual Gala on Monday, November 17, and will appear at events at The Jerome L. Greene Performance Space at WQXR throughout the season. In January 2015, Voigt will host another new weekly series, highlighting more gems from the operatic repertoire. "I am honored to have been named WQXR's first Artist-In-Residence,” said Voigt. “I look forward to the many events planned, especially our new opera series 'The Sopranos with Debbie Voigt,' a group of ladies I know a little about!" A couple of choice columns from the NY Times's resident conservative remind me why I should never, ever read him. Happily, in both cases, commenters hammered him. I'm not going to link to them; if you must read him, you can find the columns yourself. "Goodbye, Organization Man," published September 15, about the disappearance of people who wanted to get things done. One of his examples is opposition to terrorism, the other is the fight against Ebola. Of course there is no acknowledgement that we can't respond rapidly to crises such as the Ebola epidemic because his conservative buddies want to shrink government and drown it in the bathtub. I can't tell you how many significant public health projects, including research, have gone unfunded because of Republican hostility toward science, the shutdown, the sequestor, etc., etc. "Snap Out of It," published September 22, tells us that things really aren't that bad! They used to be worse! All we need is for rich people to behave in a less entitled fashion and the "porous elite" to govern once again. Nothing about global warming; nothing about massive economic inequality, poverty, unemployment, and hopelessness; nothing about the persistence of racism. Also, Republicans and Democrats should just stop hating each other. He seems completely unaware that the period of cooperation from 1945 to about 1980 was the anomaly in American history. Back in the 1850s, senators used to come to blows on the Senate floor! I wonder where he stands on The Death of Klinghoffer. No, on second thought, I don't want to know. San Francisco Opera today announced that Grammy-nominated American conductor Julian Wachner will make his San Francisco Opera debut conducting George Frideric Handel’s Partenope, presentedOctober 15–November 2, 2014 at the War Memorial Opera House. Mr. Wachner replaces British conductor Christian Curnyn, who has withdrawn from the production for personal reasons. Over at New York Magazine, Justin Davidson has a lengthy analysis of the libretto and music of John Adams's The Death of Klinghoffer, which opens next month at the Met. I'd call it a must-read; he clears away a fair amount of the accumulated past discussion of the opera, and clarifies what is actually going on. Meanwhile, protestors are already out there on the Lincoln Center plaza, because it's opening night at the Met. Well, the headline speaks for itself. Here are some links. The Atlanta musicians accepted cuts after a lockout two years ago....and now they are locked out again. With 30 of 32 councils reporting their votes, NO is ahead, around 55% - 45%. 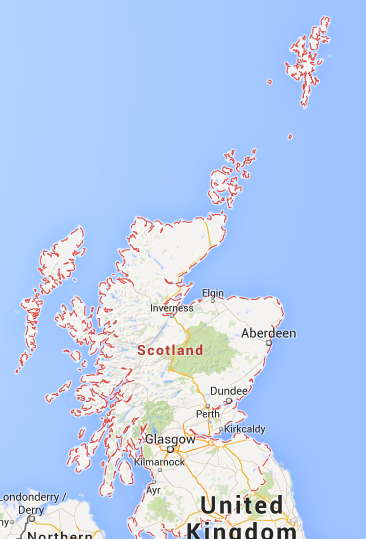 Scotland remains part of the UK rather than becoming an independent country. I'm glad about this, given what I've read about the huge economic risks to Scotland if they broke away. If you're following the Scottish independence referendum - and how could you not? - here's the page to keep an eye on, at the Grauniad. They've got a running total, a map showing which councils have reported, and a list showing the by-council vote. A busy week of withdrawals and changes in Lincoln Center! My commentary is in [square brackets]. American soprano Tamara Wilson will make her Met debut in the title role of Verdi’s Aida this season, replacing Latonia Moore, who has withdrawn due to pregnancy. Wilson will sing the role on December 26, 29, January 5, and January 10 matinee. [I saw Tamara Wilson as Miss Jessel in Turn of the Screw a few years ago and she was terrific. Beautiful voice, and a big one. I am suddenly a little more interested in this Aida run than I otherwise would be.] Aleksandra Kurzak will sing Gretel in the Met’s English-language holiday presentation of Hansel and Gretel onDecember 18, 23, 27, and 30, replacing Christine Schäfer, who has decided to take a sabbatical from performing this season. As previously scheduled, Andriana Chuchman will sing the role on January 8; casting for January 1 and 3 will be announced at a later date. Reviews are coming in for the ENO Otello, and about all that is clear so far is that the direction left something to be desired. Apply your knowledge of the various reviewers to calibrate what they are saying, and bear in mind that this was a role debut for Stuart Skelton in one of the most difficult tenor roles. Update: The first three reviews listed below are the least positive; some reviewers love the direction and production and are more impressed with the singing all around. Keith McDonnell in What's On Stage. Down on director David Alden; feels Stuart Skelton has the voice for Otello but isn't quite there yet, Leah Crocetto warm-voiced and with "more mettle" than Desdemona usually has, Jonathan Summers snarling and barking through Iago. Likes Edward Gardner. Andrew Clements in The Guardian. Feels Alden's approach leaves an emotional vacuum, terms Skelton's singing magnificent but feels it doesn't connect, finds Crocetto "tremulous," likes Summers dramatically, "superb" conducting. Rupert Christensen in The Telegraph. "Impressed but curiously umoved." Skelton "vocalised the role superbly." "This Otello didn’t begin as the majestic triumphant commander and end as the pathetic human wreck; he was just a decent bloke misled." Likes Summers and Crocetto. Mark Ronan, personal blog/web site. Happy with the production and singing, thinks there is plenty of emotional resonance. Michael Church in The Independent. "Superb production," conducting at "white heat," Summers' Iago "a brilliant creation," Crocetto "lovely" (after some initial tremulousness), Skelton singing with "heroic burnish." Mark Pullinger in Bachtrack. Production "of searing intensity," Skelton "anguished," "visceral," "thrilling," a little mixed but mostly positive on Crocetto, likes Summers, loves the conducting. I'd go see this show, myself, since superbly sung Otellos are few and far between. And after seeing Skelton's magnificently sung and acted Peter Grimes in June, I expect his Otello will sooner or later be a great one. Friday, February 20, 8 p.m.
Saturday, February 21, 8 p.m.
Sunday, February 22, 2 p.m.
Friday, May 1, 8 p.m.
Saturday, May 2, 2 p.m. and 8 p.m.
Sunday, May 3, 2 p.m. When: Sunday, October 5, 7:00 p.m.
Geeshie Wiley as in The Ballad of Geeshie and Elvie, I believe. You might have expected this one: Jamie Barton will sing Adalgisa in all performances of the opera. You probably didn't expect this one: tenor Marco Berti has withdrawn from the production "for personal reasons." He will be replaced as Pollione by American tenor Russell Thomas, who makes his Sf Opera debut and role debut. The pit lighting and sound shields will be improved. They've worked out something, but don't go into any details, to cover performances at the 299-seat theater being built in the Veterans Building. The orchestra made some concessions in the last negotiations, in 2011, and sounds pleased with the new contract. You'll note that unlike certain other negotiations we've seen in the last few years, there were no loud public pronouncements, no threats, no complaints, from either management or the musicians. Instead, they talked, and whether the talks were as collegial as the press release states or not, everything was done professionally and quietly, with an announcement at the end. As evidence that maybe there were some sticking points, I quote this: "Joel Schaffer, Commissioner of the Federal Mediation and Conciliation Service, participated in the latter part of the negotiations." In any event, hats off to everyone who participated in reaching this agreement. You have my admiration and gratitude. The audience for this type of guide is a listener who can read music and knows a little bit about keys and key relationships, and who wants a detailed walk-through of the symphony. The bulk of the 125 pages of the ebook is taken up with the score, analysis, and various musical examples. The analysis looks fine from a technical standpoint. I would say that if you're going to claim that there is something special and elemental about the key of Eb, you need to say something about the theory behind keys and key relationships before equal temperament took over. Although the press kit touts "the latest scholarship," there can't be more than about ten to twenty printed pages on the history and reception of the "Eroica," and I could not find any references in the ebook to additional books or articles. To state the obvious, there is a vast literature on this symphony and Beethoven himself. If you want to take a serious look at the literature, start with the New Grove article on Beethoven, or Lewis Lockwood's biography, which must have an extensive bibliography. I looked at this book in a browser on my desktop machine and didn't try to download the book to my phone or tablet. It looks pretty good (except for those huge and oddly-spaced block quotes and a couple of pages with white print on red - yech), although the sound clips interspersed with the text sometimes overlap the text when you change the size of the browser window. Some additional information is presented as a pop-up window; other information appears in a new tab. The new tabs weren't always obvious, and at one point I found myself wondering where the hell the main text had gone. I also looked around for a while trying to figure out whether you can play the whole symphony through, rather than just the excerpts, and never did figure it out. I am not the audience for this kind of book, but you might be. If you try out one of these - and there is a new book for the Bach Mass in B Minor, with the Brahms Piano Concerto No. 1 forthcoming - let me know what you think. For around $8, they're not a bad deal. I've attempted to unsubscribe from your mailings multiple times. It hasn't worked. Your email amounts to spam: mail that keeps coming because the unsubscribe link does not work. I've emailed you a couple of times and even gotten a response once, assuring me that I would be removed from your mailing lists. As I have explained, I don't cover the type of music you publicize. And now I know that basically you are a spammer, not really a publicist. Good publicists do what they can to maintain good relations with members of the press and bloggers. You are unable to manage your mailings in a professional manner, and what does that make you? A couple of weeks ago, I posted a quotation from Edmund de Waal's The Hare with Amber Eyes. I have finished the book, and now I am going to quietly, insistently, suggest that you pick up a copy and read it yourself. De Waal, a famous ceramicist and the son of an Anglican priest, is also a grandson of the Ephrussi family, Jewish grain merchants and bankers who became fabulously wealthy in the 19th century. They built palaces in Paris, Odessa, Vienna, Switzerland. Charles Ephrussi, art collector and connoisseur, was one of the models for Charles Swann. The author inherited a collection of 264 Japanese netsuke, tiny sculptures used to attach small containers to men's clothing, from his great-uncle Ignace Leo von Ephrussi. Fascinated by the netsuke, he traced their history, and his family's, from the early19th century to the present. He is a marvelous writer telling a riveting and very moving story. Read it. You won't regret it. Yes, it's an exciting time when nobody will get to hear the ASO live because of the lockout. The timing leaves just a bit to be desired and certainly leaves a bad taste in my mouth. As always, Columbia's Italian Academy for Advanced Studies has a lineup that I wish were down the block from me. Just a copy & paste here; the performers and repertory speak for themselves. The great Italian soprano Magda Olivero has died at the age of 104. She was the other surviving member of her generation of singers, along with Licia Albanese, who died last month at 105. Olivero had an odd career: debut in 1932, a successful career that included singing Liu on the first commercial Turandot, more than a decade of retirement, from about 1939 to 1950, a return to the stage around age 40 followed by a good 30 years more on the operatic stage. She made her Met debut at 65 as Tosca, and sang ten performances over two seasons there. She sang a couple of Toscas and five performances of La voix humaine here in San Francisco. A friend seems to find it impossible that she only sang seven performances at SF Opera, but it's important to consider her repertory and who was available to sing it, both here and at the Met, after Olivero's return from retirement. I looked through the archives of both companies at Tosca from 1950 to 1970 - but not all of the Met performances - and found that at the two houses, that role was sung by Dorothy Kirsten, Licia Albanese, Renata Tebaldi, Lucine Amara, Giulia Barera, Marie Collier, Regine Crespin, Jeanine Crader, Stella Roman, Zinka Milanov, Maria Callas, Antoinetta Stella, Mary Curtis-Verna, Leontyne Price, Leonie Rysanek, and others. A couple of those singers are obscure, but that's a lot of competition. Not to diminish Olivero's genuine greatness, I understand why an opera company might stick with Tebaldi or Kirsten or Price rather than hire a singer with an odd voice who isn't so well known in the US. Report in NewMusicBox: the Barlow Endowment at Brigham Young University has awarded 11 or 12 commissions. There were 100 applicants; all awards went to men. NMB did not publish the gender breakdown of the applicants. Two members of the judges' committee were women, Stacy Garrop and Leilei Tian. The Atlanta Symphony Orchestra has locked out its musicians....again. Read all about it at Adaptistration. Notice, in particular, that they have run deficits for the last 12 years. For seven of those years, Alison Vulgamore was the chief executive of the organization. You will recall that she was eventually hired by the Philadelphia Orchestra, which she then led into bankruptcy. Thursday, October 2, 2014 at 7:00 p.m.
Thursday, January 15, 2015 at 8:00 p.m.
Thursday, February 26, 2015 at 8:00 p.m.
Thursday, April 30, 2015 at 8:00 p.m.